How Do I Become a Meeting Facilitator? Meeting facilitators work for various institutions, including companies, nonprofit groups, and government agencies. Coordinating meetings is an important part of a meeting facilitator's job. 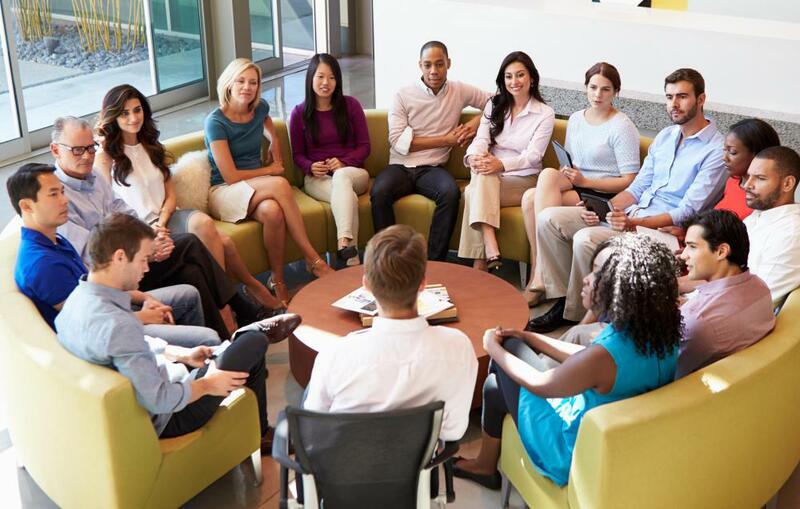 Meeting facilitators need to be able to effectively communicate with a large group. Depending on the setting, the type of facilitation needed, and your specific responsibilities, you might need a college degree to become a meeting facilitator. Many certificate programs are also available, and on-the-job training is common in the profession. The job requires a number of professional skills, such as good interpersonal communication, organization, efficiency and problem solving abilities. It usually helps to network with others in the field when trying to find a position. If you plan to become a meeting facilitator, you should also decide whether to seek employment with one organization or to offer consulting services to various businesses. Meeting facilitators work for all types of organizations, including corporations, small businesses, government entities, and nonprofit agencies. They typically facilitate staff meetings, corporate retreats, and workshops. Their responsibilities might include different types of facilitation, such as strategic planning, running a meeting effectively, project management, or dispute resolution, to name just a few areas of focus. A particular company might hire a facilitator to work on a discrete project or issue, while another company might regularly use a meeting facilitator to coordinate its general meetings and retreats. Though a degree is not always necessary to become a meeting facilitator, taking some relevant college courses in marketing, communications, and public relations is often recommended. The more effectively someone can demonstrate proficiency in these areas, the more likely he or she is to become a meeting facilitator who succeeds in the field. In addition to having some academic experience, a good facilitator also usually has excellent interpersonal skills and organizational abilities. Many companies that provide business consulting services also train meeting facilitators. They might offer a single class or workshop, or they might lead a facilitation series that culminates in certification. 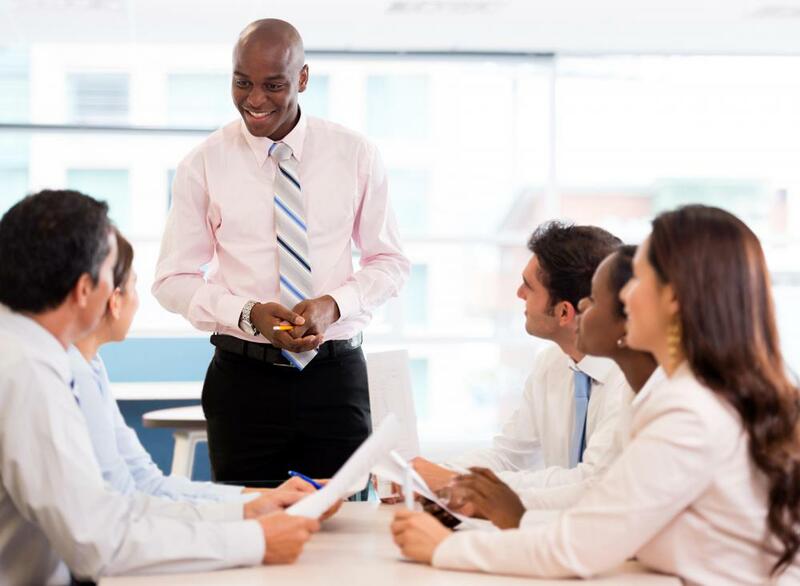 Individuals who want to be meeting facilitators often take these courses, as do staff members of certain organizations whose supervisors want them to develop their professional skills or expand their job descriptions in order to take on more responsibility. Someone hoping to become a meeting facilitator has several options when deciding on a career path. For instance, a person who wants to work for a specific organization can apply for a meeting facilitator opening, if available, or for a general staff position that might require meeting facilitation as one of its regular duties. Another option is to work for a professional agency that provides consulting services to different businesses, which hire meeting facilitators as needed. A third option is to start your own business as a freelance meeting facilitator. How Do I Choose the Best Strategic Planning Workshop? How Do I Become a Meeting Coordinator? What Are the Different Types of Meeting Coordinator Jobs? What Does a Meeting Coordinator Do? What Does a Meeting Facilitator Do?